50,000 FANS CAN’T BE WRONG! I know what you’re thinking, but the above blog title does NOT refer to the NFL, the Anthem, or the Pledge of Allegiance! Nay, I am referring to the fact that our little blog has reached a new milestone. (Which is less painful than a kidney stone. And different from a Gaul Stone, which you get from eating French food.) So, what is this magical mysterious milestone to which I allude? Well, as of yesterday afternoon, we now have 50,000 blog followers on this (semi) hysterical website! Yep, we recently enrolled number 50,000, and that honor went to Mr. James McCullum of Sarasota, Florida. Mr. McCullum and his wife will now receive a free weekend, courtesy of my generous publisher, at the Bellagio Hotel in Las Vegas. (Always a “sure bet” to please!) My sincere thanks to ALL of my devoted followers, who in my humble opinion, are the BEST! Speaking of books, my radio interview with the incredible Jack Drucker has been postponed until mid to late October, due to Hurricane Irma. The old gal swept into the Tampa area with destruction on her mind, so the radio station needs to undergo some repairs before they start broadcasting again. I will keep you informed of the new broadcast date, which will feature a lengthy interview about my new history book, TURBULENT TIMES. NOW FOR SOME REALLY IMPORTANT NEWS! I have another new blog follower! A young lady named Fiona Ivy Zell. The cute little dear was born last Monday, September 25, at 10:49 p.m. (She was published by my oldest daughter, Rachel, and her co-publisher, Adam Zell.) At birth, Fiona weighed close to seven pounds, which is probably going to be the least she ever weighs again. Her length was measured at 21 inches, but she is expected to grow quickly. She is in perfect condition, but has not yet begun to talk. What’s up with that? (Definitely not a Yanoff!) In any case, we are delighted by Rachel and Adam’s new tax deduction, and look forward to spoiling her rotten! By the way, please remember that Halloween is fast approaching, and that this year’s most popular costume (believe it or not) is a mask of William Henry Seward! If you can’t find a mask, you can simply buy one of my books and attach a large rubber band to the front cover. Your children will adore it, and their teachers will be very impressed. If you have more than one child, you can buy a copy of THE SECOND MOURNING, which features a “potential mask” of James A. Garfield. I urge you to be creative and forget about the ghosts, ghouls, and witches. ← GONE WITH THE WIND! Congrats to you & Patti on the grand daughter. I have to laugh about that sloagan many fans can’t be wrong. My dad always talked about a grocery store when he was growing up down the road from him. Their sign read, “A Million Flies Can’t Be Wrong”! We laughed about that our entire lives! Congrats dearie!! Congratulations on the new addition! 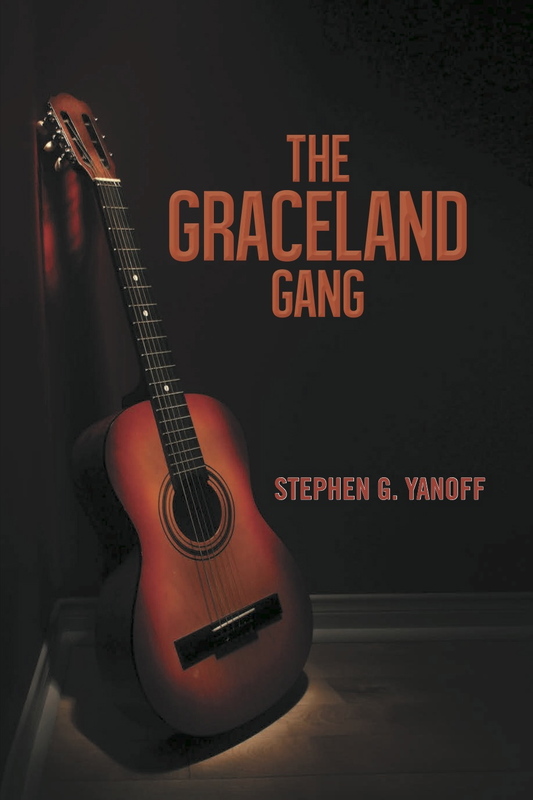 Graceland Gang was great…a must read! All great news especially about your new granddaughter, congratulations Grandpa! !